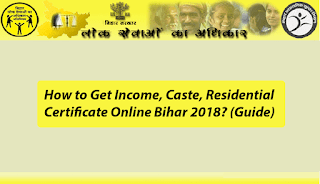 Aay Jati Niwas Online Bihar 2018: How to Apply? In this article, we will explain you to how to get Aay Jati Niwas Online in Bihar in the Year 2018. Bihar Government has made the procedure quite easy by making all these services available online. So, If you are one them who wants to access these services online, I think you are at the right place. Below we explain to you how to get Aay Jati Niwas Online in Bihar in a step by step way. So, Stay tuned with us and read the article in full. How to apply for Aay Jati Niwas Online? To get Aay Jati Niwas Online, First, you have to apply for it. Moreover, for this, you first have to visit this link. Once you visit this link select the appropriate option. For example: From where you can want to grab your application. The portal has this option present, however, now you can download your certificates online. Here Just select the first option i.e. Block. After that, Fill out all the details very carefully. These details are your name, Aadhaar Card No. etc. Moreover, Certificate options like Caste Certificate, Income Certificate etc. are also present. Once you fill all the details click on the Next button which you find on the page below. Clicking on the next button leads you to a page where you have to feed your Mobile Number. Note that, this number acts as your identification. However, the officials identify you by sending a 4-Digit Verification code. Now, You have to feed your 4-Digit Verification Code at the appropriate place in the portal. Once you enter your 4-Digit Verification Code and click on the next button, the portal opens a new page. This page list out all your details. You can correct any errors here for the last time. Then, Click on the Next Button. Here, Click on the I Agree and Submit Button. Now your certificate is going to process. This will take some time. Now, Here comes the second phase, to download these certificates online. Therefore, for this just visit this link and fill out your Application ID and Application Date. That's it click on the Download Button next to it. Thanks for reading out. Please help us know your opinion in the comment box below. 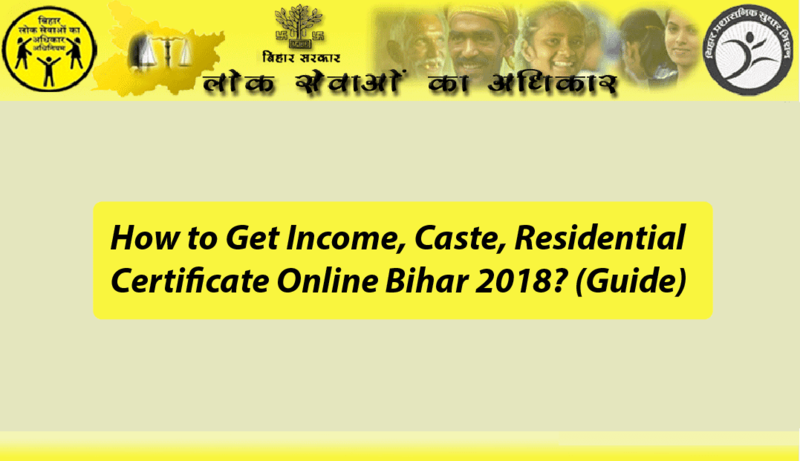 Muzcorner - Muzaffarpur News Portal: Aay Jati Niwas Online Bihar 2018: How to Apply?